Access to core routes only. Access to all routes in CA or TX. Complete route access in all regions. There's a Surf Air membership plan to match your travel needs. Explore the options below to see which makes sense for you. We'll work with your group to help find a plan that best fit your travel needs. As a member, you'll enjoy the flight frequency of commercial airlines with the experience, service, and time-savings of private travel. There’s no stopping you, and we’re not here to hold you back. That's why we let you book, fly, and book again as often as you like. Imagine the possibilities. With no security lines or commercial airports to maneuver, you'll take back hours of travel time with every flight. Your future self will thank you. Stretching 840 glorious miles along the Pacific, California is a goldmine of breathtaking views and vacation hot spots. If you’ve yet to dive into the cobalt blue waters of Lake Tahoe or watch the sun set over Napa’s lush vineyards allow Surf Air to take you there. Be treated like a Member, not a passenger. We strive to create an exclusive and authentic community of travelers enjoying a new and better way to travel. Simply put, our members enjoy traveling with one another. With Surf Air, you’re part of a cultivated community that will benefit your life beyond the everyday flying experience. Complimentary Wine Wednesdays served to Members at 5 of our locations. With the daily challenge of finding a work-life balance, Surf Air is a tool in my toolbox to make it all work. Surf Air’s everything I hoped for. No surprises; very much what I expected and it’s terrific. I think I shall be addicted. I’ve made several new friends and had flights where we all get to know eachother. It was kind of like a social hour and before I knew it the flight was over. Was a lot of fun! I have a personal relationship with my member manager. Membership managers are a key ingredient at Surf Air. They’re just good people, and they’ll work with you. They do go out of their way for you, and they listen. How does Surf Air community work? Commercial air travelers have grown accustomed to the complicated, cumbersome, and expensive processes of today’s flying experience. The tedious comparison shopping, delayed flight traffic, and endless congestion at commercial airports—all result in valuable time and money lost. But we say no more. With Surf Air, Members can enjoy an entirely new, better way to fly. We give travelers freedom, efficiency, and exceptional service. Unlimited flights, 30-second booking, and a new and easy arrive-and-fly process comes with every membership. This is how flying should be. Flying in a private charter or jet is extremely expensive, and requires lots of advanced planning. With Surf Air, you can book flights minutes before departure and take off without wading through lines or traffic. It’s a similar experience to flying private, without excessive private jet costs. Plus, you’ll fly in the company of no more than 7 other Members—like-minded travellers who you’ll come to know by name. However, Surf Air offers flights based on a schedule through our third party flight operators. So unlike chartered services, travelers do need to choose from available scheduled flight times. If you drive 2–6 hours regularly, or fly commercial for more than 2 round-trips in a region where we have destinations, you need a Surf Air membership. No need to waste valuable work (or play) time stuck in long airport lines, on hold with call centers, or navigating through complicated online bookings. 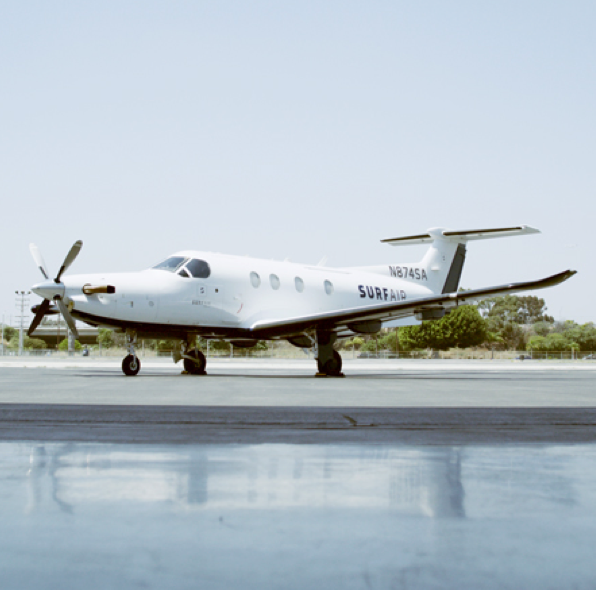 Surf Air eliminates the pain, hassle, and wasted time that accompany current travel options. With all that extra time, you can focus on what matters most.